NV Waterproofing & Foundation Repair has been serving Greater Washington D.C. with quality basement waterproofing and foundation repair services since 1986. We specialize in wet basement solutions, foundation repair, crack repair, drainage systems, and new home waterproofing throughout Virginia, the District of Columbia, and Maryland. Over the past few decades, we have built a solid reputation as a trusted basement waterproofing and foundation repair company due to our commitment to honesty, integrity, and quality service. 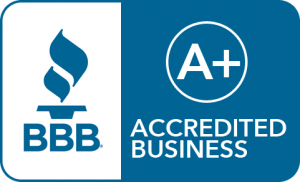 Not only do we hold an A+ rating with the Better Business Bureau, we have also received the Angie's List Super Service Award multiple years in a row and are a member of the National Association of Remodeling Industry, the Home Builders Association, and more. No matter how large or small your basement waterproofing or foundation repair needs, we can help! Contact us today to schedule your free, no-obligation cost estimate or to learn more about our services. The NV Waterproofing & Foundation Repair team is proud to support organizations in the Washington, DC area that share our values and seek to make a positive difference in the community. 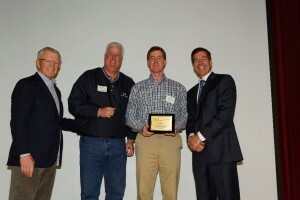 NV Waterproofing & Foundation Repair is proud of our donations to community organizations such as YFT and HomeAid. We are proud to work with Youth for Tomorrow (YFT), a local organization that supports at-risk children and families, on its construction of the Laura-Louise House for girls. NV Waterproofing & Foundation Repair donated waterproofing services for the project, which is the seventh building on the program's campus in Bristow, VA. We worked for Stanley Martin Homes on this project, a local homebuilder that coordinated the construction efforts. Joe Gibbs, former Washington Redskins head coach and NASCAR Championship team owner, founded YFT in 1986. The nonprofit is committed to helping youth who have been abandoned, abused or otherwise alienated from family and community. Its mission is to provide them the opportunity and motivation to focus their lives - and develop the confidence, skills, intellectual ability, spiritual insight and moral integrity to become responsible, productive members of society. They provide services such as treatment group homes, crisis intervention counseling, therapeutic services and more. NV Waterproofing & Foundation Repair is proud to support HomeAid, a nonprofit provider of housing for the homeless, on the construction of new shelters in the Washington, DC metro area. NV Waterproofing & Foundation Repair contributed waterproofing services to multiple buildings that will act as temporary housing for transitionally homeless families and individuals. HomeAid is a leading national nonprofit provider of housing for the homeless. With the mission to build new lives for America's homeless families and individuals through housing and community outreach, the organization builds and renovates multi-unit shelters in 16 markets, including Northern Virginia. HomeAid has provided housing for more than 220,000 individuals with more than 400 project shelters nationwide.